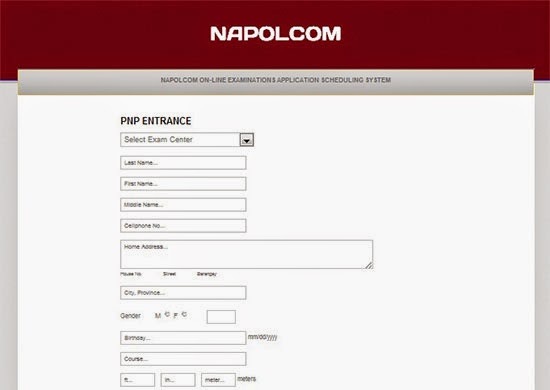 The National Police Commission (NAPOLCOM) is set to open the online application scheduling system for this year's PNP Entrance Exam and Promotional Exam. The two (2) set of police examinations are conducted twice a year. 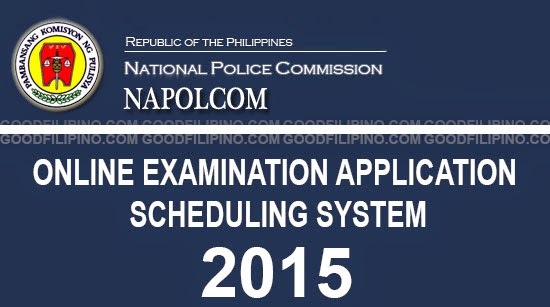 According to Napolcom, the date of PNP Entrance Exam and Promotional Exam was scheduled to April 26, 2015. Also be reminded that the 2015 online exam application scheduling system will become available on February 16 - 20, 2015, for all PNP Entrance Exam applicants while on February 23 - 27, 2015, will be set for all PNP Promotional Exam takers. Please don't forget that the last period of filing will be on March 2 - 27, 2015. FYI! The PNP Entrance Exam is open to all Filipino citizens applicant who meet the age, height and educational requirements. Then the Promotional Exam are open exclusively to all qualified uniformed members of the PNP who meet the minimum qualification standards for examination in terms of rank and eligibility. Just visit the www.napolcom-oleass.com or click this link. If you have further question about the Napolcom 2015 Online Exam Application Scheduling System and also to the PNP Entrance Exam and Promotional Exam details. Comments or suggestions about "Napolcom 2015 Online Exam Application Scheduling System - Open for PNP Entrance Exam & Promotional Exam" is important to us, you may share it by using the comment box below.